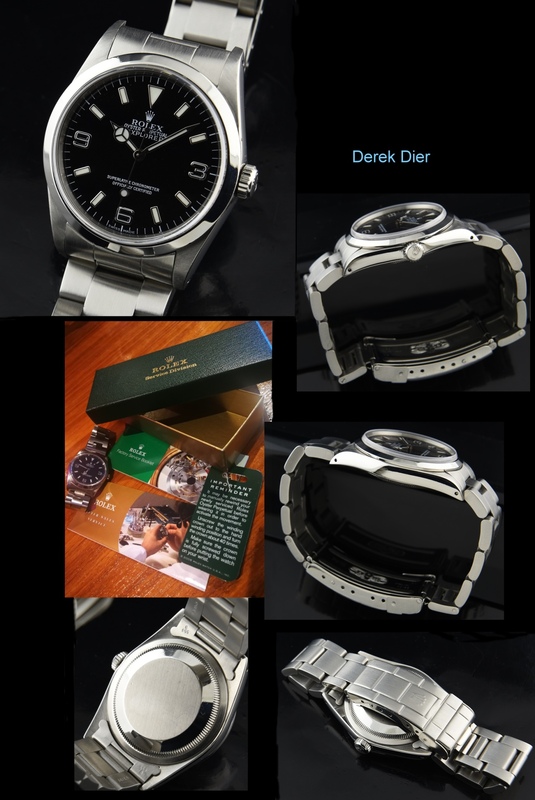 This stainless steel 1991 ROLEX EXPLORER 14270 looks almost like new. The original flip-lock bracelet is without scratches, as is the 36mm. gleaming ROLEX OYSTER case. This watch comes with a ROLEX service box. 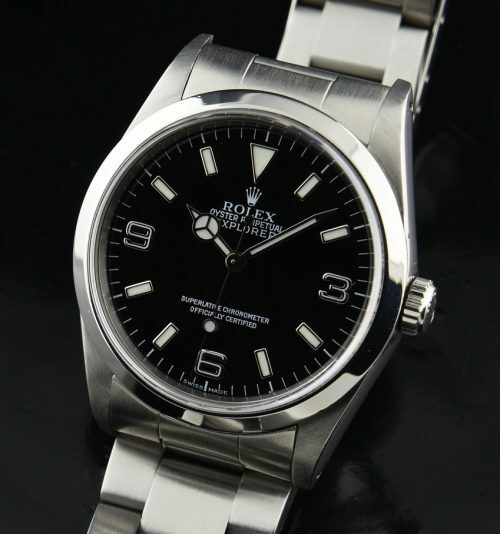 The automatic winding ROLEX movement is accurate and cleaned. I think these watches are among the BEST looking modern ROLEX watches of all time. Condition is everything… And this Explorer is extremely clean!